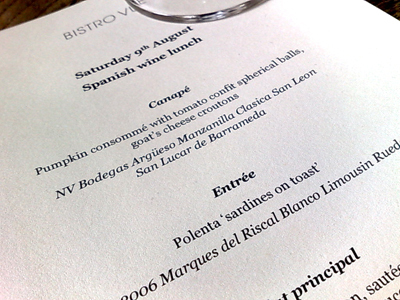 When we found out that Vue de Monde's Sommelier Raúl Moreno Yagüe was hosting a Spanish Wine Lunch at Bistro Vue, we knew that it would be a perfect opportunity to learn a bit more about these wines. 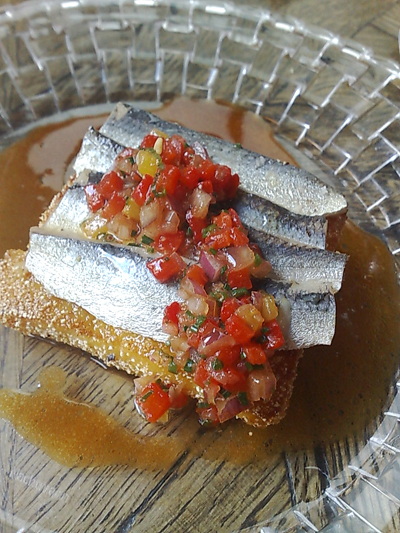 More Vue de Monde than Bistro - it was a deceptively simple dish. 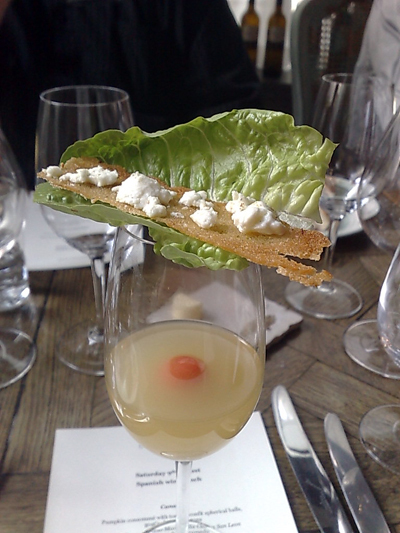 A real surprise was the pumpkin consommé - served just warm, it was pure pumpkin flavour. 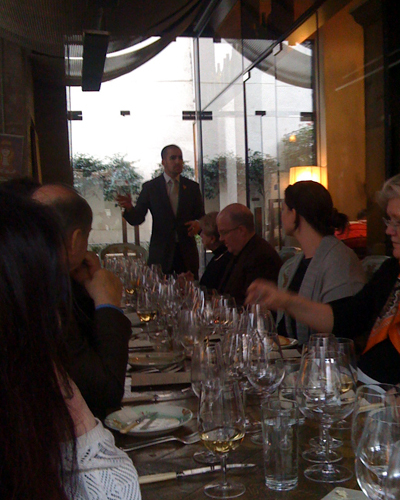 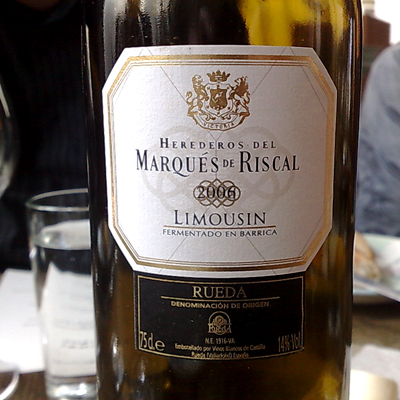 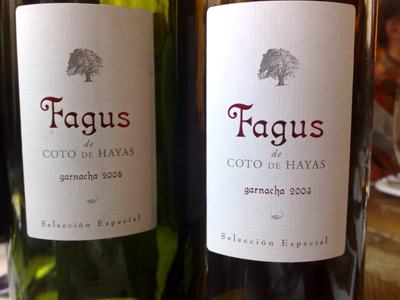 The second wine was a 2006 Marques Del Riscal Blanco Limousin Rueda - made from Verdejo Sauvignon Blanc grapes. 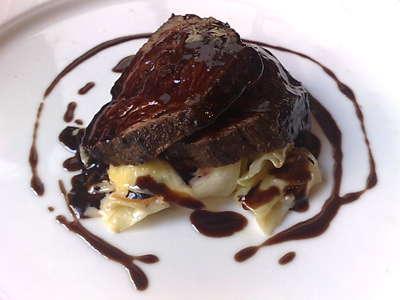 It was paired with the entrée of Polenta "sardines on toast"
It was matched to our Plat Principal - Denver pepper leg Venison, sautéed cabbage and chocolate sauce. 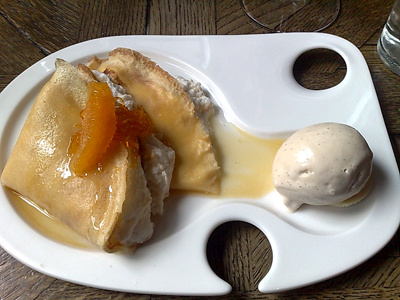 As an extra treat, Raul shared with us his own bottles of the 2002.
and it was matched with the stunning Crèpe Suzette Soufflée, served with Vanilla Bean Ice cream and cointreau sauce.